Graphic design benefits business in more than just the obvious of just looking nice. Unfortunately, many small businesses don't realize the full benefits of great design and fall short of building their business and broadening their customer base. One manner in which graphic design benefits business is assisting customers with making better decisions quickly. People today are as inpatient as ever. They want information fast and if they aren't able to make a decision quickly on whether the service or product is right for them, they are likelier to dismiss it. For this reason, it is vital that businesses use design to assist in communicating quickly with the use of graphics, pictures, and icons. Succinct and minimal text can be used to spur curiosity and allow a person to dive deeper if s/he wants more information. Of course, for some services or products, that are simpler and already well known, the less complexity is required in communication. 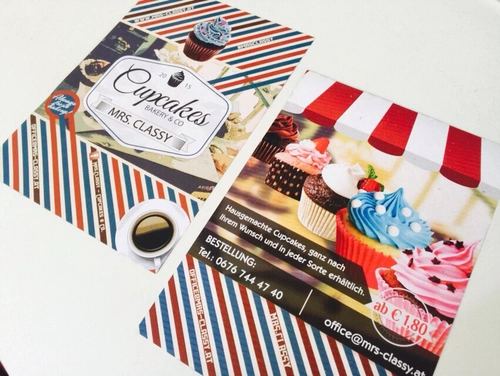 Graphic design can also assist in branding a business and making it memorable. The more creative and the more the design fits the personality of the business and target market, the more successful the design is likely to make that business. Personally, I think this is where a lot of small businesses fail. They fail to realize the importance of brand building and how graphic design fits within that framework. Great graphic design sells! Design is not form but also a function of use. It should not be surprising that better design sells more; and that can apply to any industry or medium. This is pretty obvious in the car industry. Better designed cars sell more, not just the outside design of the car but the way the inside is designed as well, in the use and the way it looks. A graphic designer in Los Angeles, Linda has worked in the marketing and advertising industry for over 10 years and knows how important design is, because it does get better results when done well.